Alabama, The Land of Vivid Cultures and the Heart of Dixie, is one of the most developed states of the United States nation. Alabama is also known for the ‘EF5 tornadoes’, which have excruciated and tormented the state on numerous occasions. Alabama has already suffered the pain and grief of the Civil War and Second World War on its chest and is still suffering from the loss by tornadoes. The state is developing fast in healthcare industry and a lot of nursing programs have been simulated and started in last few years. What is the Alabama Board of Nursing and what is its importance? 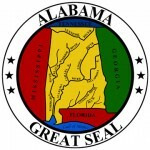 Alabama Board of Nursing is the administration body, which takes care of all the issues related to the various medical rules and regulations in the Alabama state. The board is responsible for maneuvering the various Medical and Nurse Practitioners and nursing programs running in the state. The Board of Nursing holds unprecedented and huge importance. Regulation and formulation of the federal laws of nursing. Maintaining the record of various nurse practitioners and medical facilities in the state. Maintaining the standard of service and providing the vital information on all the training programs, certifications, licensing and laws. Enforcement and orientation of the nursing laws and Nurse Practice Act in the state. Who are the members of the Alabama Board of Nursing? To be a part of the ABN is a great honor and medal of invaluable service. There are 13 members in the Alabama Board of Nursing. The members belong to various classes including the Doctorate, MSN, Registered Nurses, LPN and customers. The Governor himself appoints the members of the board. Each Board member is selected by the state Governor himself. The service tenure is 4 years for each member. No member can be selected for more than 2 consecutive working sessions, that is, the maximum working tenure is 8 years consecutively.